Need to Make a Bold Statement That’s Built to Last? 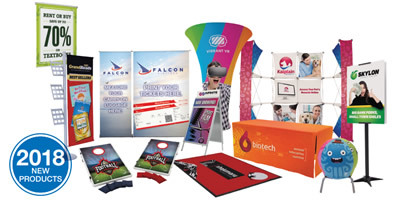 Banners, Retractors, Signs, Floor, and Tradeshow Displays 2018 Best Selling Display Solutions. Banner advertising is one of the most versatile and inexpensive forms of advertising available. Banners can be used over and over again to promote your message no matter where your business takes you. Custom vinyl banners that are printed and supplied to businesses by Minuteman Press are built to last and are perfect for indoor and outdoor use. We are large format / wide format printing experts and can produce full color banners of any kind or style.